Sing, dance, and explore with Dora in 3 rockin' adventures! 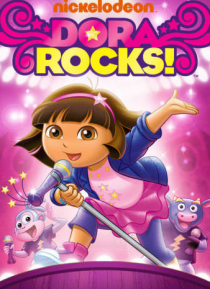 Help Dora and Boots rock out at a sing-along fiesta! Bring Baby Bongo to his very first music show! Then, step right up for an amazing show at Boots and Baby Jaguar's Amazing Animal Circus!